Cartoonify originally launched early last month. 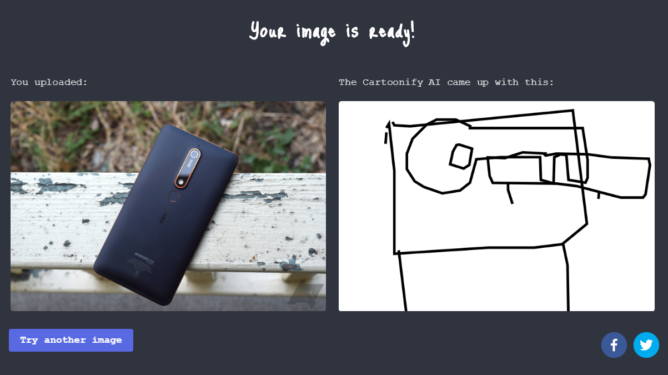 In the wake of the doodling camera, it flew under pretty much everyone's radar. But just today it was added to the lists at the Experiments with Google site, bringing it to our attention. After spending a good chunk of time feeding it photos, the results, though hilarious, leave us confident that the AI singularity is still at least a few months off. The image recognition process is pretty simple. Just upload your photos and wait for a few seconds while it verbosely processes your photo. When it's done, it spits you to a side-by-side of your uploaded photo and the version Cartoonify was able to generate. For best results, in my experience, images should have plenty of contrast between the foreground objects in the scene and the background. Cartoonify's (far superior) vision of reality includes things like floating tables, disembodied ghosts, and random tables superimposed on top of and inside the objects you might otherwise recognize. Google's Quick, Draw! 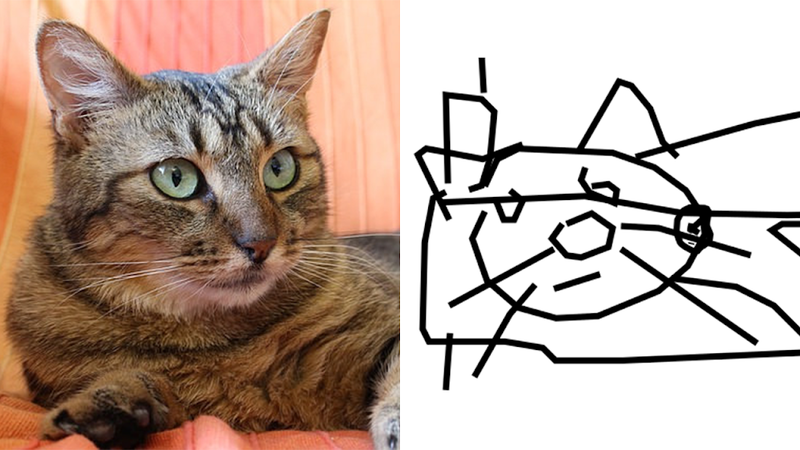 library has been used by a few fun AI experiments recently, from the Scrying Pen that applies machine learning and a guided outline to help your smears more closely resemble art, to Google's own AutoDraw, which just replaces your terrible drawings with its own entirely. Cartoonify is probably my favorite example so far, though.